We are happy to announce Lemon Bay Glass + Mirror has been chosen by Gasparilla Inn & Club to provide new replacement windows throughout its facility. Working closely with All Phase Construction and the Gasparilla Inn owners we have developed a window that not only meets the needs of the Inn, the new windows will meet the requirements of the Florida Building Code. These new windows also had to pass muster with the Historical Preservation Board. The beautiful Inn is a proud member of the Historic Hotels of America and is listed on the National Trust of Historic Places. Keeping the “Old Southern Tradition” was paramount in the window design. Windows are the most visible, yet sometimes the most under appreciated, components of older, historic homes and buildings. They are character features and are an important part of every historic building’s original design and beauty. Lemon Bay Glass + Mirror is proud to have been selected to help preserve this local historically significant icon. Here is a little bit of history on The Gasparilla Inn & Club as sited on their website. 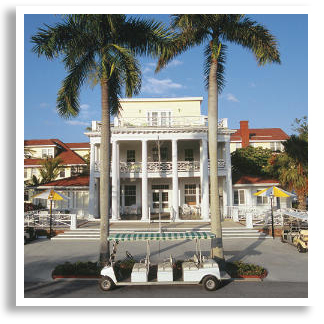 The Gasparilla Inn & Club 0f Boca Grande, Florida is one of the largest surviving resort hotels in Florida. The Inn was originally constructed for wealthy northerners during the time when Florida became a travel and vacation destination. Historic references state the The Gasparilla Inn & Club has been a premier destination on Florida’s Gulf Coast since 1913 and is the center of village life on Gasparilla Island. Along with the arrival of prominent and wealthy northern guests, many wealthy fishermen began an annual migration to the Inn, relishing its privacy and seclusion. 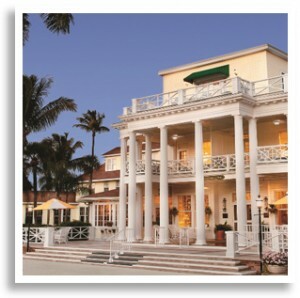 As stated on the Gasparilla Inn & Club website, walking through The Gasparilla Inn & Club’s sun-bathed, pillared entrance and into the lobby you experience the feeling of Florida as it was meant to be.® Guests are instantly embraced by the tranquil civility of a time that once was — and still is — at this classic resort. The Gasparilla Inn’s founders and patrons understood the delicate challenges of building the village without destroying the natural wonders of the island, from its fishing preserves to the beautiful beaches. Over the years this same spirit of preservation has been passed on to each generation of caretakers and those that call the island home. The complete history of this wonderful jewel of the Florida Gulf Coast can be read on The Gasparilla Inn & Club’s website by following this link. Link to the Lemon Bay Glass + Mirror Facebook page to see renovation progress at the Gasparilla Inn. Link here to see more beautiful sites in and around the Gasparilla Inn & Club.